The State Department is trying to push members of the U.S.-designated terrorist group known as the Kurdistan Workers’ Party (PKK) out of northern Iraq’s Sinjar region where the outlawed Kurdish group claims it is protecting the Yazidi minority community. Fighters with the PKK in Iraq are reportedly receiving financial assistance from the umbrella network of Iran-allied Shiite militias — the Popular Mobilization Units (PMUs), known as the Popular Mobilization Units (PMU) and Hashid Shaabi. The Iraqi parliament recently legalized the PMU, who are now receiving assistance and praise from the U.S. military during the offensive against the Islamic State (ISIS/ISIL) in Mosul. There is animosity between members of some of the Iraqi minority groups (Yazidis and Christians) and Kurdish Peshmerga fighters from the autonomous Kurdistan Regional Government (KRG). Some Yazidis and Christians accuse the Peshmerga of abandoning and intentionally disarming them when ISIS swept through northern Iraq in 2014. Moreover, to add insult to injury, the KRG allegedly took the Christian and Yazidi lands once the jihadist group retreated. The KRG denies the accusations. The PMU-backed PKK has billed itself as the defender of the oppressed Yazidi community, saying they will not leave until Sinjar is back in full Yazidi control. PKK fighters have no place in Sinjar, declared the State Department, adding that the job of protecting the citizens falls on the Iraqi forces. The Yazidis believe they are facing threats from the very same people who are supposed to protect them, namely the local Kurdish groups. The State Department spokesman noted that the United States has been working to de-escalate tensions between all groups involved, stressing that the focus should remain on defeating the Islamic State, also known as ISIS and ISIL. In and around Yazidi-majority Sinjar, fighters from the PKK, which has been designated a terror group by the United States and many of its allies, receives funding from the Iran-allied PMU. PKK fighters claim they are in northern Iraq to protect the Yazidi-majority region of Sinjar, noting that they refuse to leave until the region goes back to the full control of the minority group. PMU operations in the Sinjar region could trigger instability. A group linked to the PMU attacked the Kurdish Peshmerga in the Sinjar region back in January. Likely to spark concern among the Sunni KRG in Iraq, the Shiite PMU is trying to establish a base in the Iraqi Kurdistan Region and has been recruiting Iraqi Kurds for am all-Kurdish brigade it has already formed. The PMU has seemingly been winning hearts in Iraq in recent months. Despite being linked to the execution of American service members in the past, the PMU’s actions in combat against ISIS in Iraq have been praised by the U.S. military. Kurdish news outlet Rudaw points out that Iraq, Turkey, and the United States all insist the PMU-backed PKK should leave Sinjar. 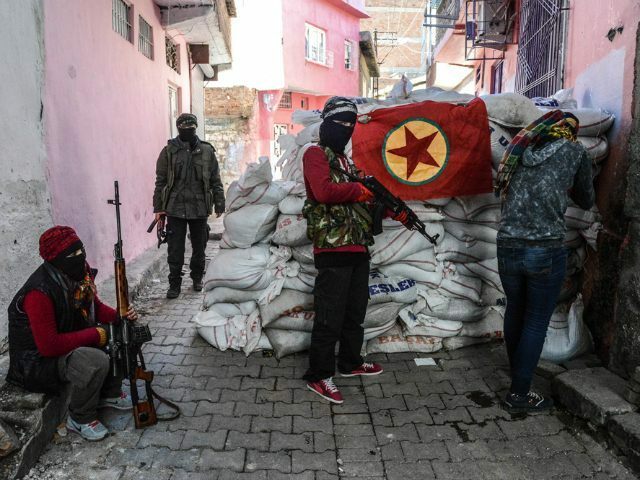 Nevertheless, the PKK remains adamant about maintaining its presence in the Sinjar region. To Kurdish militiamen, they are a necessary force to protect the Yazidis against encroachment by the U.S.-backed KRG and establish some sort of permanent base in the region. Northern Iraq’s Yazidis and other minority groups in the area, namely the Christian, resent the Kurds for trying and sometimes succeeding in taking their lands by force. Many Yazidis have begun to place their trust and confidence in the PMU fighting ISIS.